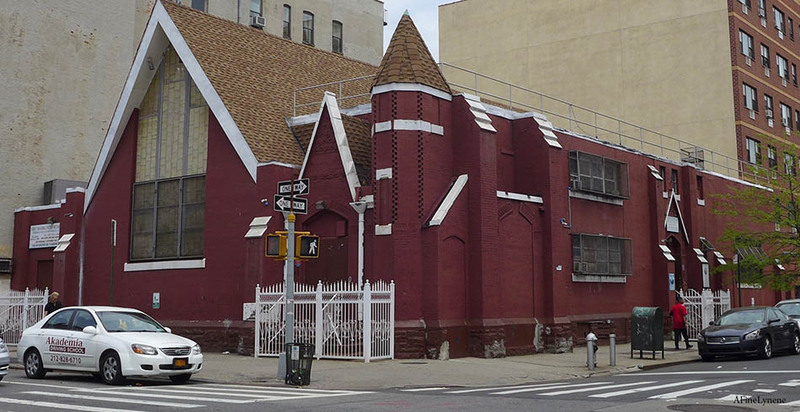 On the NYC Landmarks Preservation Commission agenda in December, 2018, was a discussion on the 1st Spanish United Methodist Church becoming an Individual Landmark. Also known as The People’s Church, the discussion is not for its architectural merit, but for its historic cultural significance, located in the heart of El Barrio, associated with the Young Lords occupation in 1969 and 1970. On Tuesday, December 12, 2018, it was determined that the history of the Young Lords still divides the community, and both the Church and the local Council Member would like more time to allow for more community dialogue. The 1st Spanish United Methodist Church will be removed from the calendar, per time limits established by Section 25-303(1) of the Landmarks Law, and can be considered for designation at a future date. A chance to learn more about that time in history will be available at a screening of the film, Made in Harlem: Class of ’68, co-presented by the Museum of the City of New York and Maysles Cinema, on March 14, 2019.